Alternative Medicine are one of the widely used treatment method apart from the conventional medicine system used by doctors and cancer patients. 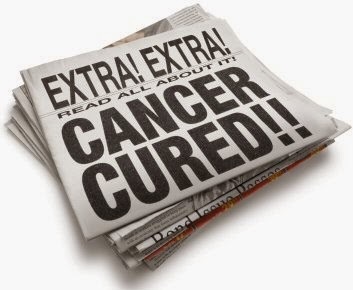 Alternative Medicine Therapy has shown positive impact on the side effects of cancer and conventional cancer treatment. The importance of Alternative Medicine Theraphy can be estimated by the fact that National Cancer Institute (NCI) is running clinical trials and researches to know its effect in cancer treatment. Some of the commonly used Alternative Medicine Therapies to treat various types of cancer are given below. Acupuncture to prevent dry mouth and improve quality of life in head and neck cancer patients receiving radiation. Tai Chi for physical fitness and stress reduction in cancer survivors. Acupressure for persistent cancer-related fatigue. Coenzyme Q10 on doxorubicin blood levels in women undergoing treatment of breast cancer. Note: Before starting any alternative medicine treatment for cancer, its better to consult your doctor. Sometimes alternative medicine may interfere with your regular medicine. So to avoid any complications its better to take this preventive measure and ask your doctor, instead of being your own doctor. What are the risks / side effects are associated with this therapy? Is this therapy part of a clinical trial? If so, who is sponsoring the trial and Are there some good results? Will the Alternative Medicine therapy be covered by health insurance? Proper research must be done before starting any new treatment. So don't just go for Alternative medicine unless you are sure and have confidence on it. All types of Alternative medicine treatment for various types of cancer can't be put on this page. Its better to stick your search to particular type of cancer and search for its alternative medicine.